Call 919.834.4001 for an application. THERE ARE PARTIAL SCHOLARSHIPS available. To find out more about them, please call or e-mail the theatre. 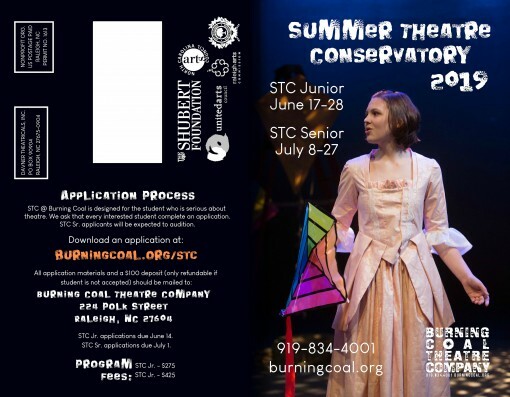 If you are interested in technical theatre, STC may also be for you. We need students interested in stage management, assistant directing, set design, lighting design and costume design. If you aren’t a performer, but are interested in one of these areas, you too can participate in STC. 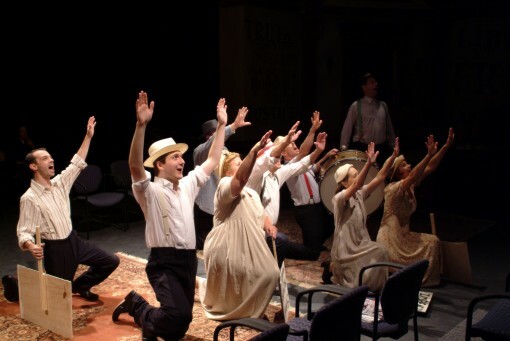 You will participate in classes with the other students in the mornings, gaining a foundation in acting, movement and voice production, then be assigned to work on our production of MUCH ADO ABOUT NOTHING during the afternoons. You will receive professional oversight in your area during STC. Performances will be held on Friday, July 26 and Saturday, July 27, 2019 at 7:00 pm at the Murphey School auditorium, 224 Polk Street, Raleigh. NOTE: All applicants will be admitted to the program. Your audition, which will be scheduled following receipt of your application, is to place you in the perfect role in A SHAKESPEARE PLAY. STC SR is led by Burning Coal’s Director of Education. CLICK HERE TO DOWNLOAD THE STC SR APPLICATION FORM.